What is Cone Denim Entertainment Center? Cone Denim Entertainment Center (CDEC) has a long rich history in downtown Greensboro.Originally known as the Imperial Theater, this venue was built in the early 1900s and was designed to be a movie house. It was later renamed to the Center Theatre where movies such as Lawrence of Arabia, West Side Story and My Fair Lady were featured. It later went through renovations and was converted into a club venue. In 2014, a major renovation occurred and the venue was reimagined and converted into a concert and event venue reminiscent of its original design. This indoor music venue opened in the fall of 2014 to four sold out performances of Dave Chappelle. Complete with theater seating and flexible configurations, this venue is perfect for your seated, dance, and general admission shows. We have 18 TVS throughout the 3 floor venue allowing you to view the show no matter where you are. CDEC is the perfect place to host any event including: Meetings, Graduations, Awards Ceremonies, TV Shows, Benefits, Fundraisers, Birthday Parties, Concerts and Fashion Shows. No matter the size of your event, CDEC can make your event a success.The Cone Denim Entertainment Center is a House of Blues Entertainment/Live Nation affiliate theater.Cone Denim Entertainment Center (CDEC) has a long rich history in downtown Greensboro. That means that The Cone Denim Entertainment Center, or CDEC for short, has the same high production standards and wide variety of popular artist bookings as theaters such as House of Blues, the Fillmore, and the Ritz. The sound and light equipment is state-of-the-art, and we feature all the amenities that concert-goers have come to expect. What size is the theater? We have a wide variety of seating configurations, depending on the request of the artist. We have everything from full standing general admission to cabaret tables with cocktail service. Where can I purchase tickets come to a CDEC show? Tickets may be purchased by phone at (336) 378-9646 M-F (9am-5pm). Will call tickets can be picked up two hours before show doors open and the box office is only open the day of the show. Otherwise tickets must be purchased by telephone or online. Where are you located and how can I get there? Our address is 117 South Elm Street Greensboro, NC. 27401. We’re located in downtown Greensboro across from the Civil Rights Muesum. We do not offer parking however there are public parking decks within easy walking distance and street parking available. We recommend parking in the Davie Street Parking Deck or Greene Street Parking Deck. Yes, there are hotels within two blocks of the venue. We recommend the Greensboro Marriott Downtown and the Biltmore Greensboro. Yes, we are in the heart of downtown. We recommend Pier Oyster Bar and Grille at 214 S Elm St Greensboro or call 336-763-0768. Is there an age limit to shows? CDEC is all ages, however we do request that anyone under the age of 16 to be accompanied with an adult, and unless an otherwise specified it’s all ages. Does Cone Denim Entertainment Center provide food and drinks? We offer plenty of refreshments. We have bars spread out over the theater, including two in the balcony and one in the Indigo Lounge, we do not at this time serve food. Can I bring my camera, take photos and videos or audio? We welcome you to take as many photos as you desire. We encourage cell phone photos and selfies. However, all professional cameras (any camera with a removable lens) require a photo pass that must be approved ahead of time by the artist’s press contact and/or their management. Photo passes are not issued from CDEC staff. In other words, if you’re looking to obtain one – don’t ask us. If you do not have a photo pass approved prior to the show, we will unfortunately ask you to take your camera back to your vehicle. Use of flash is strictly prohibited for all cameras. This includes your cell phone. Trust us, you’ll get a much better picture without your flash and you won’t temporarily blind everyone around you. However some artist requests no photos of any kind at that time we request the same. Videotaping is not allowed under any circumstances at any show. Any professional video equipment will be confiscated for the remainder of the event. Some artists allow and encourage audio taping at their shows (and have their own policies posted on their websites). We suggest you check on the band’s official website/message board regarding their taping policies and call us on the day of the show to ensure you are allowed to tape before you bring all of your equipment down to the venue. Also some artist do not even like to take pictures, at that time we follow the request. Pets including unicorns, outside food or drinks, drugs, knives, weapons, laser pointers, skates, banners, flyers, selfie sticks or fireworks of any kind to any of our shows. Purses and bags will be searched upon entry. My tickets are at will call, what do I need to bring to pick them up? All guests picking up tickets at Will Call must show a forms of identification Photo ID of the name on the ticket or the credit card used to purchase the tickets. My friend has tickets at will call, but can’t make it. Can I pick up his tickets? The first step in the process is that the original ticket purchaser must to go back to original point of purchase to make the change. (Do not contact the Cone Denim Box Office directly as we will direct you to your original point of purchase.) So, if the tickets were originally purchased from LiveNation.com or via Ticketmaster charge by phone the original purchaser must contact Ticketmaster directly (800-745-3000) to make any Will Call name changes. If you are a radio contest winner, guest of someone in the band, or a VIP Client, again, please touch base with your original point of contact and they will get in touch with us to make any changes on your behalf. If you purchased your tickets from the box office you shouldn’t have an issue with will call names as you will leave with your tickets in hand. Artist guest lists are usually at the box office about a half hour before doors open on the day of the show. Please be sure you have a valid Photo ID as it will be required to redeem tickets (at any occasion) but especially for guest list situations. We recommend you double check with your contact the day before the show to eliminate any confusion the night of the show. Does the venue offer Handicap Accessibility? Yes, all floor seating (Orchestra/GA tickets) are Handicap Accessible. Our upstairs seating is not. Please call the box office 336-378-9646 if you have any concerns. I have a ticket that says GA/ General Admission does that mean I have a seat? Our GA tickets are standing room that means you are free to roam the General Admission Floor and go up the stairs for the bathroom. That said, your ticket will have a seat number and a row number listed (for internal tracking purposes), however they do not bind you to a certain spot in the venue. We usually open doors an hour before show time. Remember that’s a “usually,” not an “always.” We try to get people into the venue as quickly as possible, but before we can open those doors, everything must be clean, everyone must be in their proper places, and the band has to have warmed up, so occasionally things take a little extra time. How many people does Cone Denim Entertainment hold? Our capacity varies with shows. It can be as high as a 1,000. We have restrooms on every floor. With the most being on the second. What is the seating like at Cone Denim Entertainment? Cone Denim has a variety of different floor plans that cater to specific shows. Fastpass Tickets allows you entrance to venue, before the general public. *Please note that a Fastpass tickets do not grant you to Cone Denim Lounge/VIP access. * The Fast Pass Ticket are also NOT a ticket to a show- they are considered an amenity. Patrons who attempt to enter shows with just a Fastpass will not be allowed into the show without an actual event ticket. How can I get table seating on the GA floor? Table seating varies with each show. Sometimes we have them other times we do not. They are an additional purchase outside of the ticket. Each table is sold by chairs. They are only sold at Cone Denim Entertainment Center Box Office. Please call the box office if you are interested or have any questions. 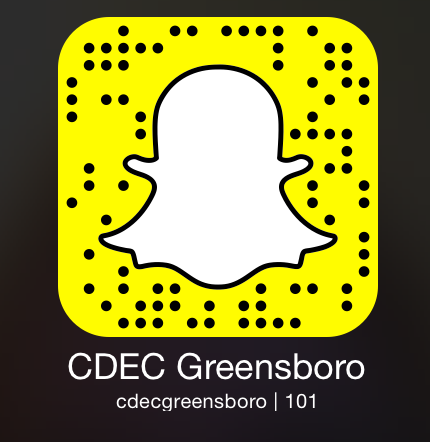 Share your stories with us #cdecgreensboro #cdeclive.